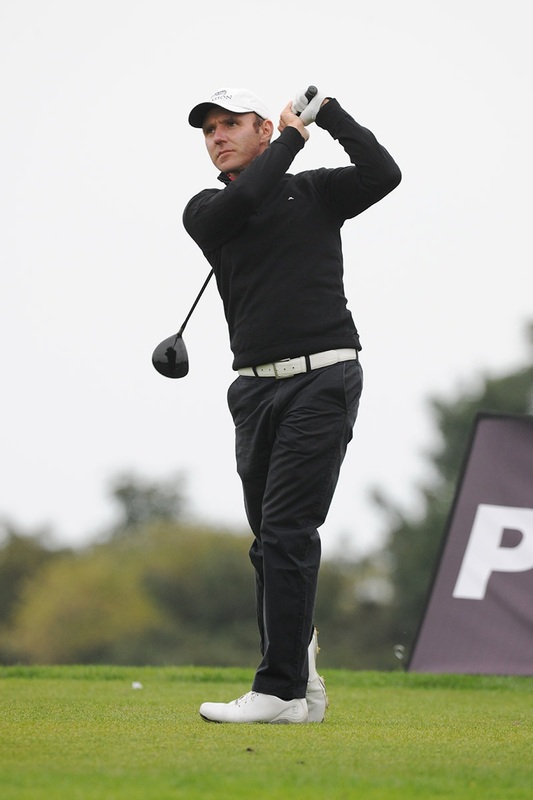 Drive Golf Performance's Colm Moriarty carded a final round four under par 68 to edge out Waterville's David Higgins for first prize at The Heritage Pro-Am on Sunday. His 36-hole total of nine under par (135) gave him victory by one shot over Higgins who carded a second round 70 at the Co Laois venue. “I played very nicely, particularly on the first day,” said Colm who was bogey free in compiling a five under par 67 on day one. “I was maybe a loose at the start of things today (Sunday) and had to scramble a bit to keep things together but picked it up around the turn with a birdie and an eagle. "I hit it in the water at the fourth (par 3) my 13th and ended up with a double but I was very pleased then to birdie my 16th and 17th. The tournament, sponsored by Fountains & Decor Ltd and LED Light Tech Ltd boasted the biggest prize fund of the season - €50,000 – and drew a full field of 55 competitors to the Seve Ballesteros designed course. A gala dinner and charity auction in aid of the Seve Ballesteros Foundation on Saturday evening raised approximately €10,000. Items donated included a fourball at Royal Pedrena Golf Club, a visit to the Seve Trophy room in Seve’s house and a sculpture of Seve’s grip. Overnight leader Michael McDermott (Pure Golf Leopardstown) was unable to match his stunning first round effort of seven under par 65. Out in level par 36, a birdie at the par five second (he started at the 10th) got him to eight under for the tournament but he immediately gave that shot back at the third and then a double-bogey at the par five eighth ended his chances. Michael finished in third place by himself on five under par. Eamonn Brady (Clontarf GC) finished tied for fourth with Damien McGrane who carded the lowest round of the day on Sunday a five under par 67. Neil O'Briain (Old Conna GC) guided his amateur partners to victory in the team event compiling 190 points over 36 holes.